Lake Havasu has a well-deserved reputation for its stellar bass and striper fishing. 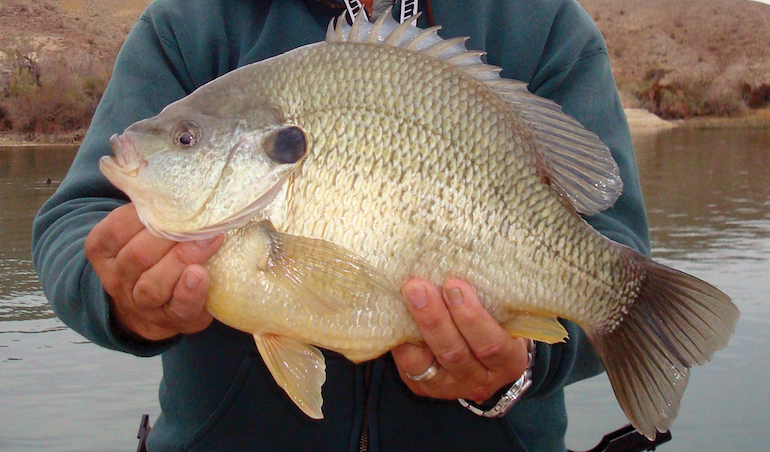 But did you know the large Colorado River reservoir bordering Arizona and California is also home to some of the best redear sunfish (aka shellcracker) angling in the world? It was five years ago — Feb. 16, 2014 — when angler Hector Brito set the existing world record with a 17-inch, 5.78-pound shellcracker caught in Havasu on a nightcrawler. 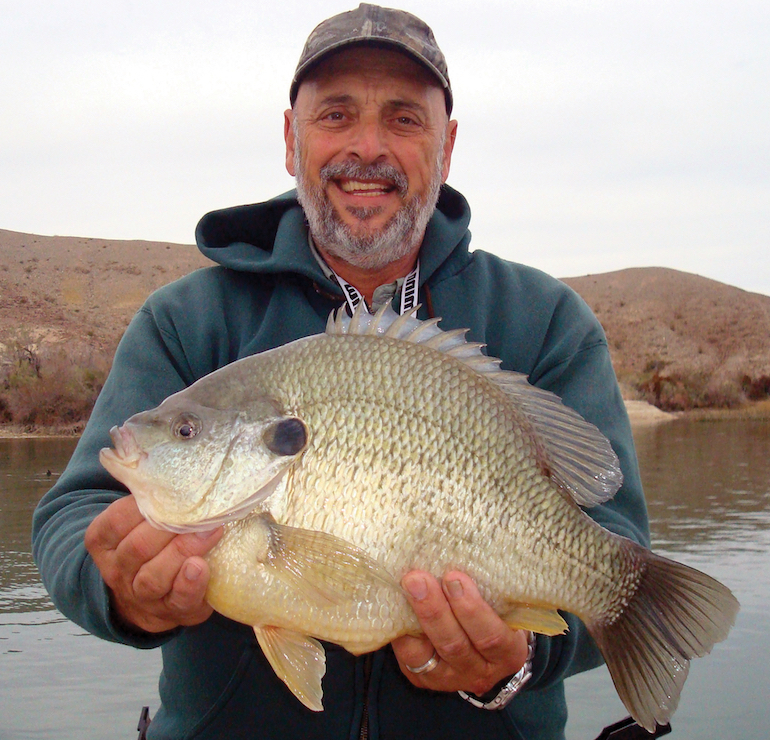 By that time, Havasu anglers had already seen a sharp increase in shellcracker size, but the question was why. In an article entitled Mystery of World Record Solved? Nick Walter of the Arizona Game and Fish Department wrote that invasive quagga mussels could be behind the bigger fish. The redear sunfish is called shellcracker due to teeth in its throat that allows it to crush and eat crustaceans, but that doesn’t necessarily mean it’s the sole reason for the bigger fish. But Arizona Game & Fish also notes reports of bigger shellcrackers began a couple of years after the quagga mussel was discovered in Havasu. Also, a 2014 study by the U.S. Bureau of Reclamation found redears and bluegills do indeed eat quaggas, also resulting in a decrease in the mussel population.